Music has definitely evolved through time. That includes the type of genres we listen to, the sounds modern day musicians create, and the way we access content (hello, streaming!). But even with advancements in technology, there are a few things that never get old: for Filipinos, most especially, it is our love for singing. Of course, technology steps in to make both singing and listening even more pleasurable—and that is exactly what Kevler’s microphone and speaker products have to offer. 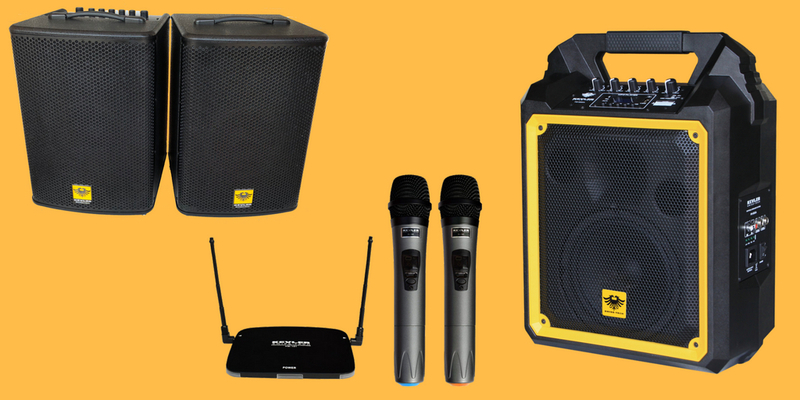 If you want to take your singing or hosting to bigger venues, you’ll need more powerful speakers. Kevler’s KR line—which includes the KR-508A, KR-510A, and KR-512A—grows along with your needs (aka your “singing career”). Each variant features a 3-inch tweeter, 8 ohms resistance, frequency response of 45Hz to 20-kHz, echo/repeat/delay functions, sub-out function, and dual mic/line/Bluetooth/USB/FM/AUX/RCA inputs. The differences between the KR-508A, KR-510A, and KR-512A only lie in its elevating features. 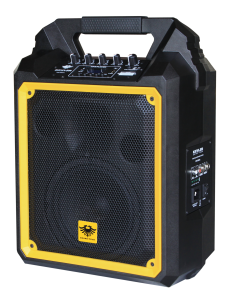 Their 2-3 way bass reflexes go up from 8 to 10 and 12 inches, respectively; while the amplifier boosts from 300 to 500 and 700 watts. The KR-510A and KR-512A also raise the bar a little higher with 3-inch midrange blasters in them. 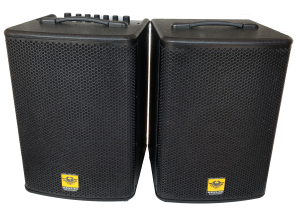 For clearer sound and better communication, the Kevler PS-650 speakers have mic priority, which is good to have if you conduct a lot of big group assemblies, meetings, or events. It’s built with a 6.5-inch woofer, a 25mm tweeter, and a 1-inch voice coil that gives off a maximum 200-watt omnidirectional sound with 12.50z impedance and 88dB (=/-3dB) sensitivity. Aside from dual microphones, it also receives via AUX, USB, and Bluetooth, and has a built-in FM radio function. Take it anywhere you want to go with its rechargeable batteries that help make it portable. Whether it’s a training seminar for new employees or a rockeoke party with the entire office, everyone needs to have a good sound system in order to be heard loudly and clearly. 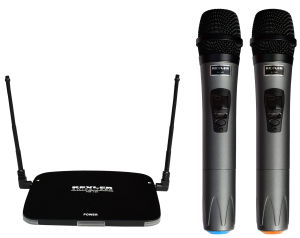 The Kevler PM-101 portable wireless microphones offer great advantage for both professional audio technicians and folks with no technical experience in tinkering with audio equipment. The compact design of its dual UHF microphones and the control panel make the whole set slight to handle. It even has detachable antenna for easier storage and LED display for convenience. With 16 frequency bands to select from, you get better range results regardless if you move around the hall as you speak or perform. It’s also energy-efficient as it’s powered by rechargeable lithium ion batteries via USB. Kevler is available in all leading appliance and department stores nationwide: The SM Store, SM Supermarket, Anson’s Home Appliance Store, Metro Gaisano, The Electronics Boutique, Astrovision, Savers Appliance, Robinsons Appliance, Automatic Centre, CSI Appliance, Imperial Plaza, and other local dealers. Follow Kevler Professional on Facebook (facebook.com/kevlerproofficialpage).